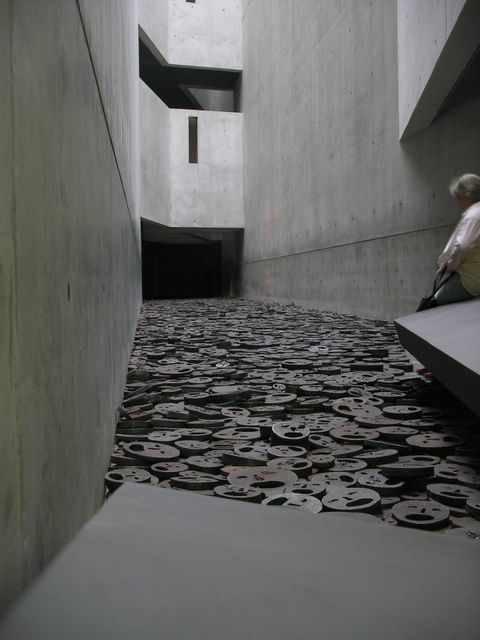 War and the Holocaust cast a long shadow in Berlin. 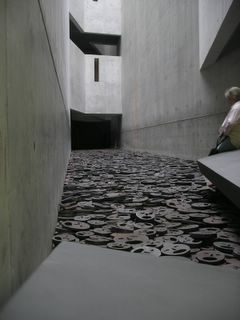 This piece in the Jewish Museum is called Fallen Leaves. You approach it through a vast, empty chamber, filled only with metallic echoes. Walking across the fallen faces is an unsettling experience, and it feels as though, standing there, you are somehow involved.